A Teen was drinking 3 glasses of Green Tea per day. The results left the doctors stunned! An English teenage girl was experiencing nausea, dizziness, and pain and after she took a visit to the doctor, he prescribed her some antibiotics for urinary tract infection treatment. She took 2 doses that day, but things got even worse so she was rushed to the nearest hospital. Her skin and the whites of her eyes were suddenly yellow, it was quite clear that she had jaundice. Her condition was taken as a serious one at the time and was in need of closer attention. She was thought to have hepatitis, visible by her liver, which was inflamed and swollen. The doctors thought that by prescribing the medications they were to blame for the cause of her illness so they engaged in the further investigation of the circumstances that led to her coming to the hospital. But soon enough she told them a shocking fact. As the 16-year old explained, she hadn’t traveled abroad and had not taken any illegal prescription drugs, and hadn’t consumed alcohol. She had never even had a blood transfusion. After surveying her, the doctors found out that she had ordered 2 boxes of Chinese green tea and she had been drinking 3 cups of it every day. She bought the tea because she assumed it will activate her weight loss and control her eating urges. She couldn’t understand the Chinese instructions on the label and didn’t have the slightest idea what she was consuming. Their doctors obtained a sample of the tea and then tested it. When the results came out she was told to stop drinking it right away. As the tests showed, the tea contained Camellia Sinensis, a sort of evergreen shrub whose leaves and leaf buds are used in the production of different tea types, including green tea. 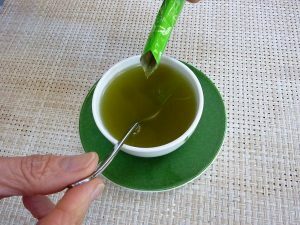 The content of the tea was the main cause which caused the teen’s condition and is often the cause of liver damage and hepatitis amongst women who use green tea supplements and extracts. Some patients have shown severe liver damage and they had the need for urgent transplants, some cases even lead to death. It is very likely that other chemicals have been added to add enhancement weight loss effects. The 16-year old’s was written in the journal BMJ Case Reports with the doctors saying that there is a possibility for the existence of pesticide-induced hepatitis, especially from products which are not regulated and are usually ordered from developing countries through the internet. Consumers can never know about the quality and the integrity of any tea, especially when ordered from abroad. They are urged to be very careful of doing this step, but it is best to simply avoid it and buy products that have at least a decent label. Luckily enough, the girl recovered quickly and 2 months after she stopped consuming the green tea in her liver started to function normally again. The doctors have used her case to point out that excessive consumption of green tea may lead to liver disease and a lot of its varieties that often promise weight loss can contain harmful substances, including pesticides. If you are drinking green tea, make sure that the brand is known to you and limit the intake to a safe amount. One Response to A Teen was drinking 3 glasses of Green Tea per day. The results left the doctors stunned! This plant has the capacity to suppress your appetite sufficient reason for this it is possible to relieve your weight. There have become few slimming capsules that be noticeable being superior and top notch.